Tips for people who are in a hurry to file whom have no or little record keeping. Our tax office is of course in the same business as H&R Block; but then again we are not, and when someone in our industry really does something well, there isn’t a Golden Globe awards show to give them a trophy or congratulations. So, here is one from us….good message H&R! Why did we say that we aren’t really in H&R`s business? They spend a great deal of time and effort on locations of convenience, fast or same day service and focus on people expecting refunds. They do all taxes, as far as we know, but the focus of their services is obvious. We, on the other hand, take a few days to do returns, have CPA and EA`s doing the work in ALL cases, and have a second set of eyes review process. We don’t loan our clients the IRS refund to them. In fact, we are most often working with taxpayers who are not necessarily getting a refund. Complex returns, business owners, landlords, corporations with complex considerations can’t be done in one “walk in the door and walk out with a return” process. We are also likely less expensive, as that “instant service in a high traffic area model” can’t then also be cheaper! In summary, great message H&R! If you want the same day return, fast service and are willing to take a short-term loan to get some of your refunds right away, then go to them, as we can’t help you! However, if you want only CPAs or EAs doing your work, and then have it double checked by a second qualified set of eyes and you want it cheaper than most national walk-in services for a more complex type return, we are ready for your call or email! Depends on whom you ask, but not for the people that were in the lower brackets already. Don’t get us wrong, this listing of facts is not a political article and won’t bash or elevate Trump. This is just a listing of the facts and with an action plan from our tax office for you to act on! If last year you were in the lowest Tax Bracket (10%) then you could earn up to $9,275 and pay 10% tax. Under the plan discussed pre-election, that group loses ground as the new lowest Bracket is 12%. ACTION….if you were in the 10% bracket last year and were considering an IRA to Roth conversion, do it soon as it will cost you 2% more if the plan goes through. From $9,275 to $37,500 dollars of taxable income, you win, as that rate is now also 12%, when before from $9,275 to $37,650 the rate was 15%. ACTION… no action, you may want to wait to see if the deal goes as planned, and you could save 3% tax by holding off on that Roth IRA conversation to see what takes shape. From $37,650 to $91,150 people would pay 25% and would be very close to what was the $37,500 starting line before, so only $150 income difference on the starting line, but after $91,150 people currently pay 28%. Under the proposed plan they would continue to only pay 25% on an additional $21,350, paying 25% up to $112,500. ACTION…if you earn less than $112,500 of taxable income, then enjoy the extra 3% on the additional 21K if the plan goes through. If your income was above $112,500 but below $190,150. You are the biggest loser, as you will pay 5% more, the largest proposed tax increase of all, for persons making under $413,350. ACTION if the income doesn’t vary (pension driven or settlements) than ROTH NOW if you were planning to, as 5% of the extra $77,650 is $3,882, just for the federal, and more for most states. The point is, simplification and lowering the corporate burdens to stimulate business doesn’t mean good things for all people. If the proposed framework does pass as planned, then you need to carefully consider where you fall now, what your tax planning goals are and have someone whom does tax planning help you navigate, double check and then take action! We are just those Tax Sherpa’s! Call us now and GET IN HERE! This isn’t the first time the IRS has gotten caught or accused of having their hands in the pockets of different groups, but the point I’m trying to make isn’t about the AP wire news release, but about the business owners! They often don’t properly plan, legally and ethically, to avoid paying tax in a legal manner, because they’re too busy and are intimidated, sometimes afraid of the IRS. On the other side of the camp, at least some employees of the IRS, apparently are plotting directly against them. Small business in America need to find the courage to actively plan to reduce their taxes! For instance, many business owners are somewhat timid about categorizing meals and entertainment as a business expense, but our experience when working with business owners is if you own a business, you’re almost always working. We will review with a business owner their daily and weekly activities and then see what their processes are for keeping track of meals that turn into business meals by accident or mileage for trips where personal business and regular business are mixed together in one occurrence. The answer is most of the time, out of a caution for not doing the wrong thing with the IRS, if a meal turns into a business meal by happenstance it’s not deducted! They’re having lunch at their favorite lunch spot, and then all of a sudden, a prospective client, recognizing them, says hello. They reply, “Let me buy you a cup of coffee or a sandwich.” That meal started out personal, but has turned into a business meal. That receipt hardly ever goes into the box of receipts to be deducted for business expense. The same with mileage. A trip to drop off their daughter or son at school and then to Home Depot to pick up business equipment and then to Staples for marketing supplies and then to the office doesn’t go on a business mileage ledger, as they felt that the trip to the school and ultimate destination, the office, meant that it truly wasn’t “business miles”. In reality, each section of that trip, having a different purpose, two out of the four destinations being business related, some of that mileage is likely deductible. There are much larger examples, like section 179, which allows business owners to fully deduct very large purchases and take 100% of their tax deduction all at one time rather than depreciating equipment over five or seven years. Many accountants caution their clients to take the depreciation anyway rather than take an all-at-once expenditure. That advice shouldn’t be automatic. A small business owner needs to look at their year and determine does this year have an anomaly of additional incomes that won’t be repeated in the future? If the answer is yes, then a full deduction of business equipment all at one time could be very smart. However, if the business is going to have the same income or higher and long, slow, steady, projected growth, then perhaps depreciation over a period of time is then the correct thing to do. Very few business owners demand Tax What-Ifs from their accountants. They don’t talk to them until it’s time to get something in March or April, when in actuality, all business owners should demand of their accountants, a sit-down rough-in of their tax return in the months of November and December, prior to the end of the filing year so that they know what they’ll need to do to counteract any anomaly taxes that may occur. Small businesses need to take the reins, get more proactive, demand things of their tax offices, and have processes for wanting to make their life deductible. They need to get proactive in order to counteract the other human behaviors that are unfortunate, but part of a growing anti-business culture. Call us today to discuss your situation and see how we can help you plan! People love to vacation. Some do it often while others hold on all year for that one great week and live day by day until that magical start date on the calendar! A new wave in our digital age is to only take three or four day weekends, but do it more often. However you “vacation”, they do have one common thread, and that is that they are not free. Furthermore, when you are officially vacationing (which becomes a mind set as well….I am officially on vacation as of right now!) you spend more freely, often with a disregard for cost shopping. “I’m stopping at Starbucks for the mocha frappe latte, not Dunkin, cause I’m on vacation!”. What if next vacation you could upgrade to fly first class, stay at the five star hotel on the best beach and make all your dinner plans with the restaurants on the Food Network and it didn’t cost anything extra? How cool would that be? How about if it only cost you two hours of your time to “supersize” your vacation into the best one you ever have had!?! Well, that is all possible by taking us up on this simple offer to Tax Plan before the end of 2016! It is not uncommon to find a combination of missed deductions and proactive moves that are easy to make that add up to thousands more in our clients’ pockets instead of Uncle Sam’s! Call or text or e-mail us and set up an hour review and we’ll work together to “supersize” your next vacation! Every year all around America almost every tax preparer asks the question, “Do you have charitable deductions like donations?” The answer is often, “yes 500.00 at Goodwill, Salvation Army and others.” That answer although widely excepted is not defensible at audit. This is how you should think and act now around your charitable gifting. BUT WAIT, I’m dropping off the clothes so its too late to price these drop offs..this isn’t easy!?!? ANSWER, before you take your items spread them out on a table, floor, bed and TAKE A PHOTO, with your phone! It take 30 seconds to spread those clothes you just took out of the closet on the bed and snap a photo seconds before you shove them all in the bag to go. After you’ve dropped them off and picked up the sheet you print the photo (emailed from you to you at work and hit print) then at tax time it’s a few seconds. There are 1,2,3,4,5,6 sweaters. 1,2,3,4,5 slacks and 1,2 belts. Sweaters are 24$ and Slacks are 12$ belts are 7$ on this sheet from Goodwill, that’s 218.00 deducted. It takes moments to do and that photo and the list in with your tax documents is 100% defendable! What the short version of all this? Reach out to clients and tell them the IRS is cracking down on the non-descriptive “Automatic 500.00” people have taken for years without thought. Tell them you must take a quick photo of donated items before you drop them off and then pick up the stores pricing list and put it with the photo. It just takes a retraining of behavior but isn’t difficult to do or time consuming. There are a few more items that all should be discussed before the holiday season ends that could save you in taxes, everything you are likely to spend. Call our office for a 30 min review and we will make your season a little happier from a financial perspective anyway. 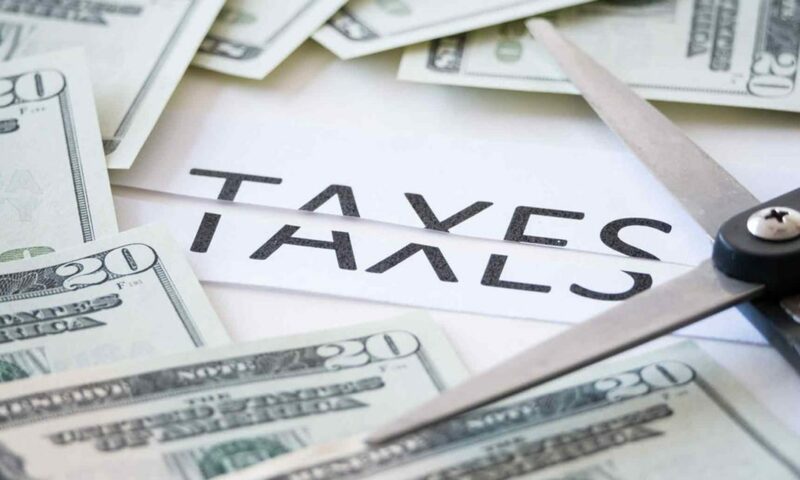 Business owners often come to us for ideas on how to cut their taxes and at some point in the conversation, it almost always is asked, “Hey can’t I deduct my life insurance premium?” Over the years, the IRS has had several rulings that make the deduction of premiums less transparent, more difficult. They might even say not able to be done, but the life insurance industry knows two things. There is a huge need for business owners to own enough life insurance to not just protect their families, but also fund buy/sell arrangements with partners, so that if there’s a death of a partner in their business, they can buy that business owner share from their spouse for each other. So with the permanent need of a large amount of coverage, often the business owner will try to find a way to make that premium deductible. That’s a very long and roundabout way of answering the question, isn’t it. Well, like many things that people ask their CPAs, the answer is, it depends. There are several arrangements where the paying of premium can be pre-tax or at least done in such a way that there is a benefit to the business owner from a tax perspective. Deduction is too strong a word, but many arrangements exist. The problem is business owners aren’t dealing with people that understand all of those strategies. They’re just going to your “average life insurance salesman” who doesn’t know what can be done in the advanced arenas to foster benefits to business owners. Our tax firm has numerous experts around the country that it works with that fully understand all of the strategies that are in place, when they’re appropriate, and if there is any IRS risk associated to the benefit being taken. If you’re a business owner, chances are you need more life insurance than you own. Call us today. We’ll determine whether or not an advanced life case design is possible for your company to in some way benefit from a tax perspective to having those additional coverages in place. We’ll work with your CPA and your current advisors, not try to replace them. Call us today at 954-655-7111 or e-mail us at josh@sptaxgroup.com and let us explain to you and evaluate for you what can be done. What is phantom income and how does it happen? Well, phantom income generally is the deposits of a company were accurately reported, because those people get sent 1099s from their jobs. They deposit money in their checking account. It’s not hard to track the income of a company from deposits and tax records that are mailed to them by the people that pay them so that part’s almost always right. The problem is people don’t know how to properly categorize, document, nor do they even think about expenses being a business expense rather than a personal expense when they are a sole proprietor. They simply don’t claim the deductions, the offsets that are supposed to go against those gross revenues before they report their profit to the IRS. A $58,000 business consulting income, because a teacher retires from a school district and helps a struggling school district to set up new management and work flows as an independent contractor, gets his 1099 from the two schools that he worked for totaling $58,000. He did most of the work from his home computer and his cell phone. He drove to each one of the schools a couple of times a week. He claimed a few dollars in mileage, but reports $45,000 of profit after expenses against the 58K on schedule C on his tax return. That escalated the teachers’ pension and other incomes up to the 33% tax bracket. That’s phantom income that we at our tax planning firm see over and over again, because nobody on earth has a business that returns a 500% profit. They simply didn’t know how to deduct or properly categorize or document the things that they considered personal expenses, but by the IRS’ guidelines could have easily been actual expenses against that income. They said yes and did the consulting, but then they didn’t take a course in properly documenting use of vehicles, meals and entertainment, travel, personal education, legal fees, office expenses, and all of the other things that they took for granted and did not deduct. Expenses like a home office deduction, cost of a new laptop, all sorts of things that were supposed to be taken as deductions against that gross income but simply weren’t because they walked into a tax office and said, “Oh, I earned this consulting this year”, to which preparer asked, “do you have any expenses to go against this?” and they said, “hmmmm, not really, some mileage I guess”, not realizing how detrimental the lack of caring about the deductions would be on their personal tax return until it was too late. Go onto Google and look how much average percentage of profit does the owner of a restaurant make? How much profit does the owner of a tire store make? You won’t see 100% profit, 50% profit, as industry averages of Fortune 500 companies, the margins are much smaller. When you see it happen on a personal tax return, out of the lack of taking deductions, make them think in these same terms. Most of the time it’s deductions that make phantom income go away. They’re legal, they’re applicable, and they’re so often completely missed. Unfortunately reported to the IRS by preparer`s that didn’t want to force the conversation and say “no” to filing an incomplete tax return. Bring in your returns without deduction and we will give you tools to help you keep track, education on what to do and file an amended return and get you that tax you should not have paid back!